Calvin L. Smith: What Should We Do About This? There's a tragic story reported in the Daily Telegraph yesterday concerning a Christian woman sentenced to death in Pakistan for blasphemy. It comes at a time when I've been collecting details of recent newspaper reports on the persecution of Christians in Muslim lands (see, for example, here, here and here), to write about the issue. I've previously commented briefly on this issue, and I was planning to post something more detailed, but Barry Rubin beat me to it so I thought I'd simply post a link to his article. His main question is, why Christians remain silent about the brutal persecution of Christians in some Muslim lands. It's a difficult one, isn't it? On the one hand, we can draw attention to their plight but in doing so make the situation worse (I discuss this here, scroll a couple of articles down), but on the other hand by not speaking out perhaps we contribute to a narrative of Western Christianity appearing weak and indecisive, incapable of speaking out on behalf of its own. One thing's for certain: I think we should be supporting those charities, such as Barnabas Fund, which work on behalf of persecuted Christians elsewhere. As professionals with plenty of hands-on experience, many do an excellent job and know precisely how to go about dealing with this thorny issue. We should also be praying constantly for fellow Christians persecuted in foreign lands because of their faith, and perhaps at least raising their plight with our elected representatives so at the very least such issues can be raised during diplomatic, trade and state talks. And I am reluctant to bring it round to this, but this whole issue begs another question. Why do we rarely seem to hear much about wider Middle East Christian persecution from many of those who frequently and vociferously criticise Israel over its purported maltreatment of Arab Christians. Many of us support organisations such as the Barnabus Fund and Open Doors. If I thought Christians were seeking to give spiritual significance to Islam or believing in Islamic expansionism I think I would have something to say as well. What about sharing platforms with Islamists? Does that count? Surely that would depend on the platform. One where you agree with the Islamists. I've a sneaking suspicion that you've answered your own question in a previous post and, if I recall correctly, I think I agreed with your conclusion. Indeed, Steve. But given how, rather than dealing with the serious question I raised, Andrew sought to deflect and (amazingly) somehow bring it back to his hobby horse - and in the process walk into somewhat of an elephant trap of his own making - I thought I'd ask anyway. It should make for an interesting reply. Calvin - I don't know why you continually expect me to be a spokesman for an Anglican minister - you must let him speak for himself. Perhaps this is your hobby horse. I prefer to discuss the reasons why for me the gloss of Christian Zionism faded - the continued expansionism and state sanctioned theft of land and property doesn't accord with the Mosaic Law or of Christ's teaching. I believe Palestinian Christians have a strong ethnic Jewish claim and historic residence in the Holy Land because of their descent from the Jews of the Jerusalem Church (although later assimilated with gentiles after AD135). This needs to be acknowledged. I was referring to various people in that camp. There's quite a few, you know, some who even refuse to acknowledge in private the difficulties faced by many Christians in some Muslim lands. Instead they like to present Christians and Muslims as living in complete harmony, both the victim of the big bad Jewish state. Have you been to the ME and spoken to Christians to find out if they are indeed the best of friends? I have and I assure you it is not as some would have us believe. Now I'll readily admit that is something which is hobby horse. And it is a bit rich you trying (once again) to bring an unrelated post back to CZ with a throwaway line which, upon examination, applies so aptly to some of the very people you hobnob with. Instead of dealing with a serious question you were flippant and it backfired. The only reason I discuss with you here is because, while I disagree with you, you do try and engage with the issues. That throwaway line was all the more a pity. Concerning Jewish ancestry of Palestinians, it may be that some who can trace their ancestry back in the land well before the 19th century (many of today's Palestinian families are of immigrant stock who, like the Jews, came to the land in the late 19th and early 20th c to take advantage of the economic situation) have Jewish blood. Not sure many would care to admit it, though. I understand some are rather embarrased by the suggestion. They certainly do not embrace a Jewish identity and remain firmly Palestinian. Or are you referring to the group who claim to be true Jews on that basis? If so I find it deeply ironic that those who reject the concept of God's chosen people and ownership of the land, in their anti-Israel zeal will suddenly concede such theology if it refers to Palestinians of Jewish descent, so-called "original inhabitants of the land". Come on, Andrew. You know full well Jewishness is not just ethnically based. Ethnicity is but one feature of Jewish identity, whether in the OT or now. You keep trying to bring up this red herring but it is unconvincing. Calvin - I'm not trying to start an argument here, but trying to be concilatory. You were the one who made the link in your post expressing a lack of concern for Christians in Arab lands by those who are opposed to CZ. I found it offensive because it is not true in the majority of cases - I have been a supporter of Open Doors since I left school at 18 and am sympathetic to the Barnabus Fund. If some Christians as you suggest do not concern themselves with Christian suffering in Muslim lands then they deserve to be challenged. It may surprise you to know that I do not 'hobnob' with the people you believe I do. I have my influences and they are different from the liberal Christians the social Christians etc. In fact my motive is to and try and bring Christians back to God's word. A word and spirit strategy following Smith Wigglesworth's prophecy that revival will come when the word and spirit come together. There are at least two places where I believe evangelicals have erred. One is theistic evolution, the other extreme CZ. So my influence is brethren / pentecostal / charismatic. I beleive some of the Reformed teaching is important in this regard in terms of Covenantal theology and Augustinian approaches to science. So Jewishness is not ethnically based? My point was that if we make an ethnic claim then I can make ethnic claims as well. I believe though that in Christ ethnicity is unimportant. But I find an ambiguity here, because the charge made by some against anti-Christian Zionists is that Jewish suffering is caused by anti'Semitic' - i.e. it is expressed in racial terms not religious terms. Yes, I agree. It is offensive, indeed it's grotesque. I have come across it often and never cease to be amazed how an anti-Israel position seems all too often to go hand-in-hand with far less vociferous criticism of persecution of Christians in Muslim lands, and indeed positive perceptions of Islam (remember the whole Anglican hoo-hah last year, when Patrick Sookhdeo came under fire from fellow Evangelicals because of what he wrote about Islam?). No Andrew, I'm very sad to say I don't see many of those who are so vociferously anti-Israel equally expend quite such energy standing up for Christians in the Arab world. I certainly don't see (m)any books written about it. Now there is one of those dialectics you often refer to. I also ask (again) have you been to the ME and spoken with Christians about the issue? It is a real eye-opener. Interesting, too, how grassroots believers differ considerably from their leaders. Actually, I'm glad your offended by it and recognise the need to challenge it. In your situation as someone outside the CZ camp you are in an ideal position to do so, and I will be praying for you. Surprised by your tests of orthodoxy. I can think of far greater ways in which Evangelicals have erred. Somewhat ironic, too, that the extreme CZs you criticise tend, by far, to be young earth six day creationists. Calvin - no I haven't been to the Middle East, but I have spoken to Palestinians in the UK - one is a fellow creationist. I may go one day. I have also met many Muslims through my time living in Cardiff, my neighbours were from Iraq, Kuwait, Bangladesh, Pakistan etc - they had the same concerns as most British people about family, jobs, flat tyres, etc. So I don't share the great fear of muslims that some have. Although a few are undoubtedly extremist. As Christians I believe we should be upholding the human rights, peace, security and justice of all, whether Jews, Muslims, Palestinians, Christians, Hindus etc. I wasn't offering a 'test' of orthodoxy, but simply trying to build understanding of the Word of God where there is I think lack. You raise an interesting question though about the link between CZism and YECism. At creation meetings I often hear people say that the two go together. I note your friend Jacob Pracsh recently had a creation conference with my old-boss in creation David Rosevear. Henry Morris was in fact very close to Tim Lahaye. What should we read into this? A question I have asked myself is whether YECism was developed as a literal reading of Genesis to support a literal reading of Revelations, this in support of the Darbyite eschatology. 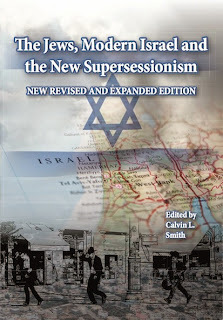 The conspiracy theorist might want to say that YECism was developed by zionists to support the acceptance of the modern State of Israel as Israel in a literal sense. However, the context of 'discovery' cannot really be used to justify a teaching. Furthermore, the Darbyite Schofield reference Bible has influenced many of the brethren towards Old Earth Creationism. Edward Irving and Henry Drummond were close friends with Thomas Carlyle who was a close friend of Charles Darwin. What should we read into that? Perhaps not much. I continue to a adopt a partly literal hermenutic towards Genesis and Revelation, but also recognising the symbolism - and I think Revelation is far more symbolic than Genesis. This is the way Acts 2:22 reveals the miracles of Jesus as signs, wonders and works of power. But I don't think that YECism and CZ autmatically go together, even though both seem to be based on a part literal reading of Scripture. There are also other ways of reading the significance of the modern State of Israel in a literal manner than merely following the extreme CZ line. Perhaps you and others would like to sign this petition Calvin ? Well, nothing beats going to the ME and getting it from the horse's mouth (and by that I mean widespread research, not just speaking to those who will supply the answer one is looking for... many dozens of interviews over there led me to realise there is a big difference in how grassroots and leaders see it). Those who shy away from the suffering of Christians in Muslim lands by virtue of their stance against israel do themselves - and the Church - a great disservice. Calvin - I would be interested in your views on a literal reading of Genesis and CZ bearing in mind your expertise in hermeneutics (noting that Tim LaHaye helped Henry Morris set up ICR). I'm asking because this could pose a problem for creationism. Interesting, Peter Harrison of Oxford has written a couple of books that point out that a belief in the Fall and a literal reading of Scripture enabled science to get going in the early modern period. Basically, Scientists read nature literally because they read Scripture literally, and Bacon and the early Royal Society wanted to overcome the noetic effect of sin so they developed the scientific process.